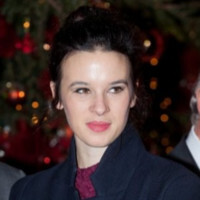 Martha joined Open Rights Group in February 2018. Alongside the Executive Director Martha leads the organisation and oversees strategy, finance, governance, development and outreach. Prior to joining Open Rights Group, Martha worked in Operations for a variety of human rights organisations in the UK and overseas including Reprieve, Progresio and the International Service for Human Rights. Martha graduated from the University of Leeds in 2010, then went on to study for an LLB at BPP University.